“There is a lot of time left,” Valverde said. 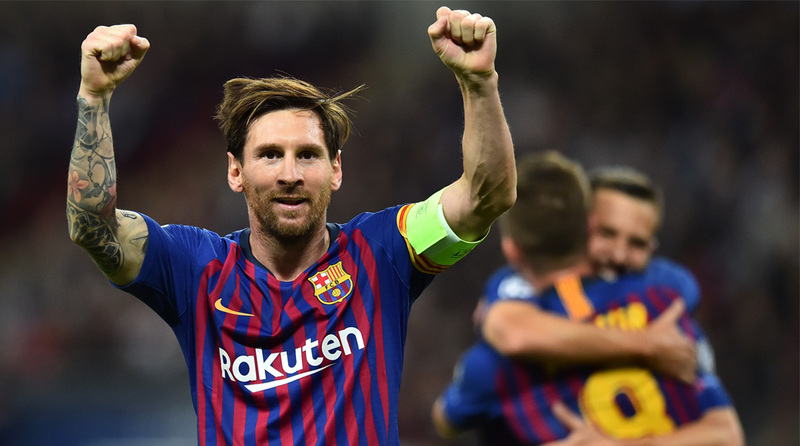 Lionel Messi scored his 400th La Liga goal, a total his coach Ernesto Valverde called “monstrous”, as Barcelona terrorised Eibar to reclaim their five-point cushion at the top of the table. Messi drove the ball into the bottom corner after being teed up by Luis Suarez, who added two goals to his own tally either side of the Argentinian marking another historic record at the Camp Nou on Sunday. “His numbers are stratospheric, incredible. He is from another galaxy.” Victory saw Valverde’s side restore their advantage over Atletico Madrid, who had briefly cut the gap to two points after beating Levante earlier in the day. “I cannot do anything without my team-mates.” The pressure has been on Real Madrid all season but they battled to a 2-1 win over Betis for their first league victory of 2019.